All sponsors can have free Premium status for the duration of sponsorship - but you need to apply. A: An easy way for advertisers to sell items directory off their adverts. Each advert has the ShopAds section available in them where unlimited items can be sold directly off that page and paid for immediately using the Paypal shopping cart. Each advert page then becomes its own 'stand alone' mini shop. Q: So how are shop items arranged on the website? A: They appear within specific classifieds adverts of account holders who have Premium status. Each advert is a mini 'stand alone' shopping page and not related to other ads. Q: How do I gain Premium status? A: Charge is one-off £10 for the length of this service (which we intend to be permanent). Apply here: Premium signup (near bottom of page). Loyal sponsors will have this status free in appreciation of their support at webmasters discretion. Q: Does Aquarist Classifieds make any profit or margin on transactions? A: No, not a penny. This is a transaction process between yourselves and Paypal. Standard Paypal charges apply. Any liabilities are between you and Paypal. We are not involved and do not receive copies of any order details, and so are not involved in any possible disputes. Q: Where are the shop sections displayed? A: Within your normal adverts, under the text block and above the contact information. The contact button works unchanged. You may decide you still want left-side pictures, but we recommend you just have shop item pictures so the page does not get confusing for the visitor - your choice though. Also bear in mind page loading time. Q: Can I edit adverts as usual? Q: What can I sell on the Shop Ads? A: Anything as long as strictly fish related. This could be foods, equipment, aquariums etc but could also include specimen fish and livestock. Q: How do I add items to my advert? A: On normal login to edit your adverts, you will see the blue 'Premium Status approved' note (if you have this status). Next open up your list of adverts to edit them, and you will see the new blue 'Shop' link per advert (if you have Premium status). Shop items are connected with each specific advert. Following the 'Add Shop' link brings you to the shop management area for that particular advert. Pictures are optional but recommended. Add your Paypal email account address (essential). Then start listing your items for sale. Title is important as this is what the user and you see in the Paypal order. Remember that as shop items relate to adverts - if you delete your advert - you have lost your shop items that are joined with that advert! Q: What are required field in shop admin? A: You must have a paypal account address (else orders will go nowhere). You also need the item title (this is returned in the Paypal order) and a description. Picture is optional. Q: When do the items in my shop area go live? Q: Can I loose my Premium status? A: Any who misuse this service will have the status withdrawn with no refund of Premium account activation charges. This is a customer service oriented website. Sellers delaying or not sending items risk their status. Premium status is available to all sponsors free on request and ends when the sponsorship ends. Q: How many shop items can I list in one advert page. A: No limit, but bear in mind page loading time. If your page takes too long to load you may loose your customer. Q: How many adverts can I add shops to? A: No limit, but dont spam the listings. Standard practise is if a retailer has more than 3 adverts listed on the recent added page, we change the date of any extra ones to push them further down and off the page. Older ads attract more traffic as they get indexed by Google and you get extra search engine traffic. Premium status is turned on at user account level. Q: What about delivery charges for my products? 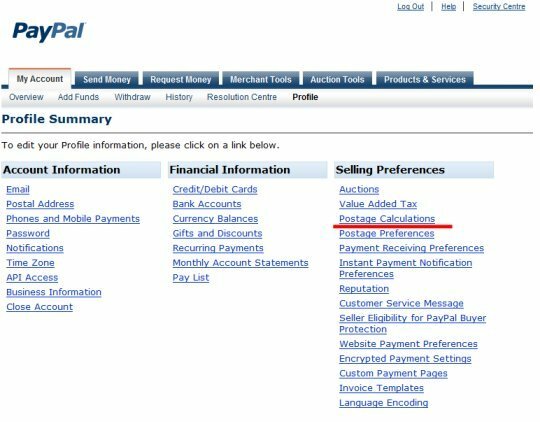 A: You need to set this up in your Paypal account, see section below for guides. 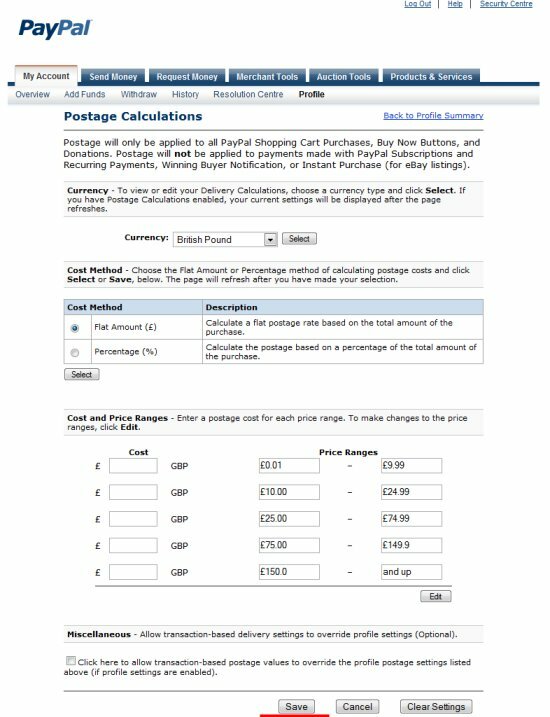 If you prefer unique delivery settings that override the settings you have made in your paypal account, you can do this per ShopAds page. But you need to make a change in your paypal account to allow this override. 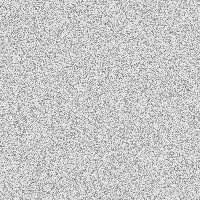 See bottom of this page. This delivery charge is per order not per item. Q: I want to keep Payap unchanged with no delivery rates as I have other transactions ongoing. A: Currently we are limited on options with this issue, although we may be able to offer a solution soon. In the meantime we suggest you alter the prices to include delivery, maybe by offering quantities and stating that price includes delivery. Q: How can I find out more and/or apply? A: Contact webmaster by email or telephone webmaster: 01278 651224. To actually apply for Premium status, see our shop section for this purpose here: Sponsors page and Premium signup. CAUTION: If you are selling a unique 'one-off' item (e.g. fish specimen) please ensure you delete it when sold. We are looking forweard to seeing some specimen fish sold this way. Examples could be anything from pedigree guppies to prime discus, arowanas and specimen koi. A great low cost method of selling special fish - but remember to remove shop item when sold. Now you can set your delivery charges. Dont forget to save your changes (we missed this first time). Choose currency to British Pound if not alrerady set. Then decide whether to make your charges by price band or percentage of total cost. Fill out the ranges below. You can return whenever you want to alter this. This is the result when you have saved your rates. And that should be all you need to do. 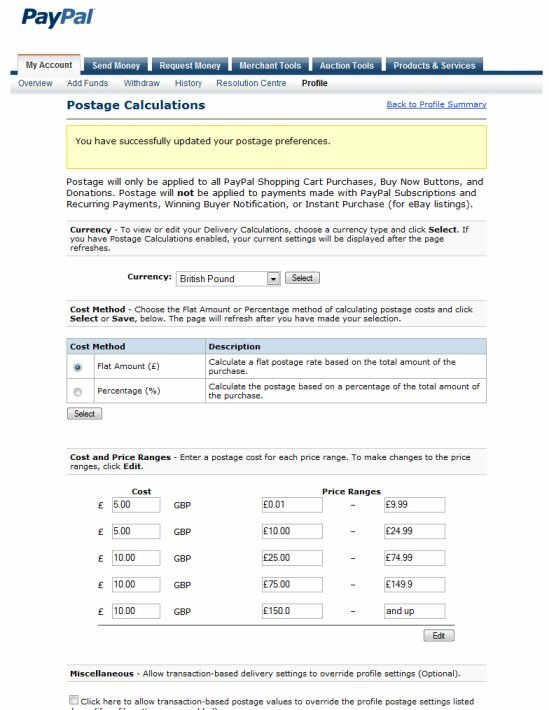 So this now allows override of the delivery charges set in your Paypal account.